TUNIS, Tunisia (AP) — Tunisia and Italy agreed Thursday to step up efforts to send Tunisian migrants identified as illegally staying in Italy back to their home country and to improve the cooperation between their governments. 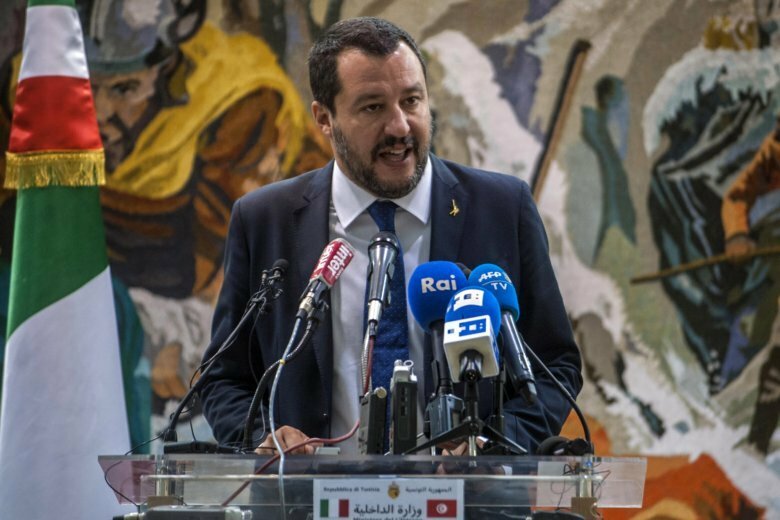 Salvini said both countries agreed to fight “against the trafficking of human beings … and to limit the number of deaths” of those crossing the Mediterranean Sea from North Africa to Europe. The International Organization for Migration says over 1,600 people have died crossing the Mediterranean so far this year. He also pledged to work on additional Italian investments to create jobs especially in southern Tunisia, where most Tunisian migrants come from. Italy wants to become Tunisia’s No. 1 economic, commercial, cultural and tourist partner, Salvini said. His counterpart, Hichem Fourati, said Tunisian authorities were ready to accept returns of confirmed Tunisian citizens. He referred to a 2011 agreement between Tunis and Rome that allows authorities to send back 45 people to Tunisia per week. Fourati stressed that “more than 500 people accused of human smuggling” have been arrested this year. Salvini also met with Tunisian President Beji Caid Essebsi on Thursday. The right-wing Italian minister, who backs hard-line anti-migrant policies, has blocked humanitarian rescue ships from Italian ports to reduce the number of migrants arriving in Italy by sea. Italy’s populist government on Monday passed a decree making it harder for migrants to be approved for humanitarian protection. The IOM said this week about 4,000 Tunisians left their country with smugglers this year, many of them heading to Italy.